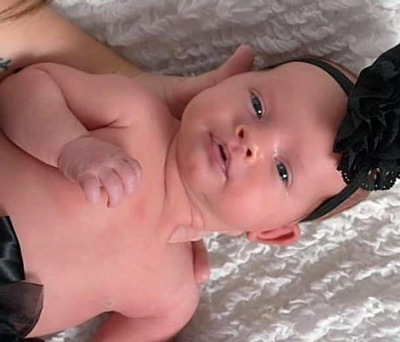 On March 1, 2019, Catie Clobes tragically lost her six and half month old daughter, Evee, a day and a half after receiving six vaccines at her six month doctor’s visit. 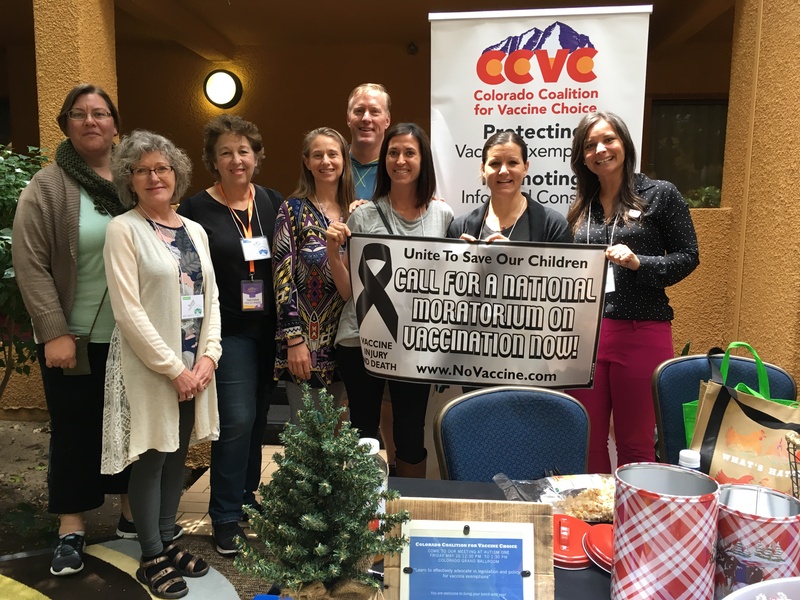 This entry was posted in Death By Medicine, Medical Kidnap & Tyranny, Personal Stories Vaccine Injuries, Pregnancy and birth, SIDS (Sudden infant Death), Vaccine Injection Room and tagged 36 HOURS on April 9, 2019 by Editor. VLA Comment: Here is the truth about SIDS. The establishment LIES, LIES, LIES…never put baby on back, only on tummy, could be because you smoked during pregnancy, age of the father….everything but the vaccine assault! Sudden Infant Death Syndrome: The term strikes fear into new parents, and for good reason. More than 2000 infants die of SIDS each year, and it’s the leading cause of death for babies between 1 month and 1 year of age. The loss is devastating to families who have experienced it, and the problem is compounded by the fact that there seems to be no way to predict when or who it will strike. 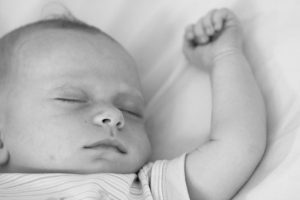 Sudden Infant Death is a diagnosis of exclusion, meaning that it strikes a once-healthy baby whose death can’t be explained by any type of illness, defect, accident or injury. There is simply no identifiable reason for these deaths. 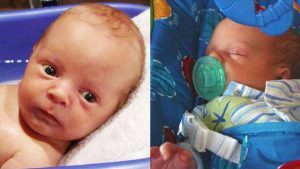 People often confuse SIDS with infant suffocation, because of public campaigns to remove blankets, padding, pillows and crib bumpers in an effort to lower the rate of infant deaths—but it should be noted that SIDS is not the same as suffocation and is not caused by suffocation. If a child has suffocated, their death is not recorded as being related to SIDS. What does cause SIDS, if it’s not suffocation or an undiagnosed underlying health problem? One potential culprit is vaccines.A disproportionate number of infants die of SIDS in the days and weeks after receiving scheduled vaccines. That’s right—SIDS was not only the most common cause of infant death before the introduction of vaccines…it was practically unheard of! A separate study found that babies die at a rate 8 times higher than usual in the 3 days after being immunized with the DPT vaccine. The United States continues to have a high infant mortality rate and continues to lead the world in the number of vaccines required by the age of five. Could there be a connection? The graph below shows the relationship between the number of vaccines given and the rate of sudden infant death—and the data is shocking. By the tender age of 12 months, American children have had three times the number of vaccines that are recommended in Sweden, Japan, Iceland, and Norway. These countries rank 2ed, 3ed, 4th, and 7th respectively in their infant mortality rates, while the US comes in a dismal 34th—our babies dying at over twice the rate of those in less vaccinated countries. Japan took action in the 1970s when they saw that cases of death and severe injury were occurring after the DPT shot. Between 1975 and 1980, they raised the age of vaccination with DPT from 3 months to 2 years—and saw an immediate 80-90 percent decrease in injury and death. How can we continue to put our children at risk, knowing that there is a real association between the rising number of inoculations we’re bombarding them with and Sudden Infant Death? The only people benefitting from the inflated number of recommended vaccines are the big pharmaceutical companies. Our communities are less healthy, our people suffer from higher rates of autoimmune disease, our children are experiencing neurological problems at high rates, and our infants are dying. It’s time to take action and follow the lead of countries whose health, infant mortality rate, and life-span all beat our own. Our children are paying a very high price for Big Pharma’s greed. This entry was posted in Medical information and Research Data, Medical Kidnap & Tyranny, Pregnancy and birth, SIDS (Sudden infant Death), Vaccine Injection Room, You are being poisoned and tagged jeff Hayes, SIDS on July 4, 2018 by Editor. This entry was posted in COOL VIDEOS in Sports, Recreation,Technology, Art, Comedy &Inspirational, Healing & Recovery Room, Medical information and Research Data, Pregnancy and birth, Shaken Baby Syndrome (SBS), SIDS (Sudden infant Death), Vaccine Injection Room, VAXXED stories and tagged Del Bigtree on May 9, 2018 by Editor. This entry was posted in Personal Stories Vaccine Injuries, Pregnancy and birth, Recommended Websites, Shaken Baby Syndrome (SBS), SIDS (Sudden infant Death), Vaccine Injection Room on February 17, 2018 by Editor. This entry was posted in Death By Medicine, Personal Stories Vaccine Injuries, Pregnancy and birth, Shaken Baby Syndrome (SBS), SIDS (Sudden infant Death), Vaccine Injection Room and tagged 000, 250% on February 17, 2018 by Editor. This entry was posted in Liberty & Freedom Room, Pregnancy and birth, Shaken Baby Syndrome (SBS), SIDS (Sudden infant Death), Vaccine Injection Room, VAXXED stories and tagged COMPILATION, vaccine compilation on October 2, 2017 by Editor. This entry was posted in Personal Stories Vaccine Injuries, Pregnancy and birth, Shaken Baby Syndrome (SBS), SIDS (Sudden infant Death), Vaccine Injection Room and tagged SIDS on August 23, 2017 by Editor. Read by Denise Gonzalez on May 15, 2017 from the Steps of City Hall in NYC. I made the biggest mistake of my life. I did what I thought I had to do, to be a good mom. To not get into trouble for medical neglect by not vaccinating my son. Against my better judgement, against what my instincts were telling me, I allowed him to be vaccinated. I only consented to the scheduled 2 month dose. The doctor made the decision with out me to play catch up by over vaccinating my son. The scary part is I had no idea how much he was giving him. Not I can look back and see why it took them 30 min to come back in to give the shots. I wonder if any of the nurses questioned the doctors orders on the massive amount he was giving my son? All because of a ignorant decision I made. Had I known then what I know now I would haven’t vaccinated my son. It’s not mandatory now. It was not mandatory then. I wish I knew that. I wish I had done more research than what I had. Yes I looked into vaccines some… but most definitely not enough. This entry was posted in Pregnancy and birth, Shaken Baby Syndrome (SBS), SIDS (Sudden infant Death), Vaccine Injection Room, VAXXED stories and tagged Infant memorial, Sallie Elkordy, Vaccine Free on June 2, 2017 by Editor.